Mornin'! It's 65° in Wildwood this last of September! It's overcast and very still and quiet with the fragrance of the sea in the air. No breezes at all. It'll be partly cloudy. Most forecasts said "mostly sunny" with some clouds. Temps will be in the low 70s as light breezes will be out of the East-Northeast at 4-6mph. Tonight...back into the low 60s with thickening clouds passing over possibly creating a shower or two as breezes remain light and variable from the Northeast. Mornin'! It's 63° in Wildwood. We're currently under clouds. No breezes. Just stillness, darkness and the sounds of the ocean's roar. The clouds will do that...enhance the sounds of the ocean. It's nice out. It'll be mostly cloudy today. Ms Sun's got her work cut out for her. She may get through the cloud cover albeit just peeks here and there this afternoon. Temps will once again climb up into the low-mid 70s. Winds will be out of the W-SW at 5-10mph. Tonight...cloudy with a 20% chance of a shower. Okay for a Monday I guess, but this past weekend...whew...pure perfection is the only way I can describe that...Pure Perfection! The Jewel is still sparkling! Mornin! It's 64° and sunny and still. It's gorgeous! What a great weather weekend that's truly sparkling. 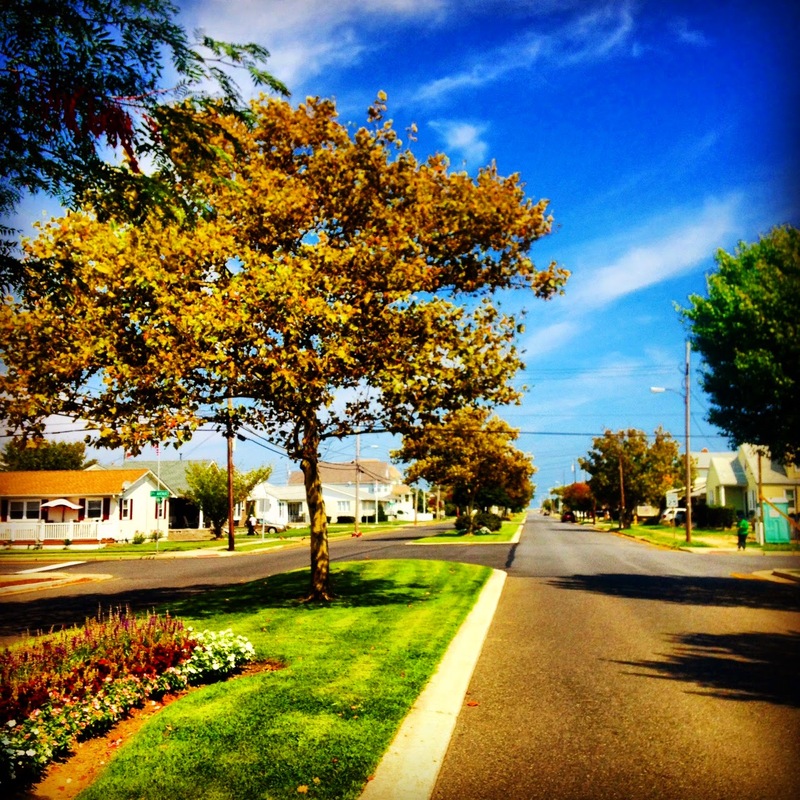 The Autumn down the shore is still considered "The Jewel" of all the seasons and this weekend has totally proved that. Thankfully today will be a repeat of yesterday...warm and mild and perfect...sunny with temps in the low-mid 70s with light, variable breezes out of the E at 4-5mph. Tonight...some cloud cover moving in with temps down in the 60s again and breezes remaining light and variable. We've been blessed by this awesome weekend! Mornin'! Happy Saturday! Happy last weekend of September! That's hard to believe. The summer's gone by fast enough and now we seem to be full throttle towards Winter. Don't fret...it's 85 days away! The focus is on this lovely summer-like first weekend of Autumn as it'll cure what ails ya! It's 60° this lovely, clear, sunny morn in Wildwood. Temps will head into the mid-upper 70s as winds will be light and variable from the N-NE at 8-9mph. Tonight...clear, back into the low-60s with light breezes. Tomorrow...a repeat of today! 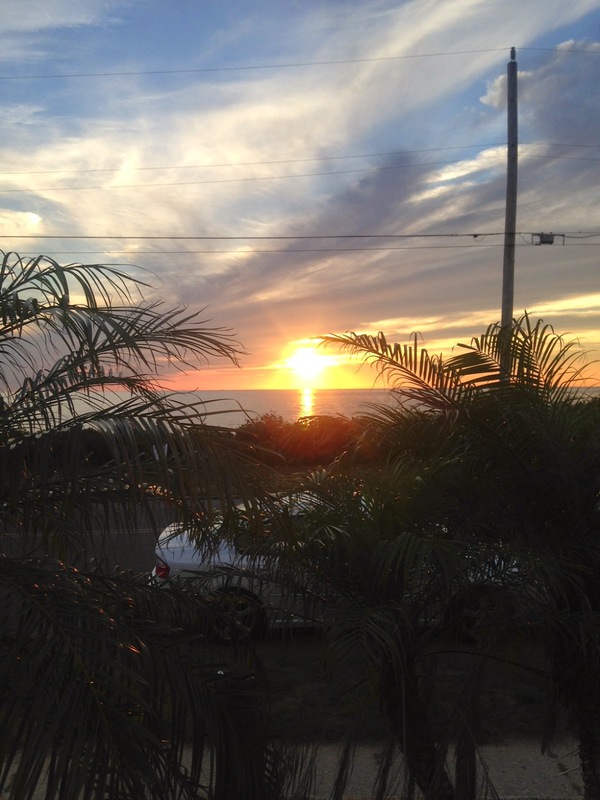 Lots going on this weekend (Wildwood never stops)! 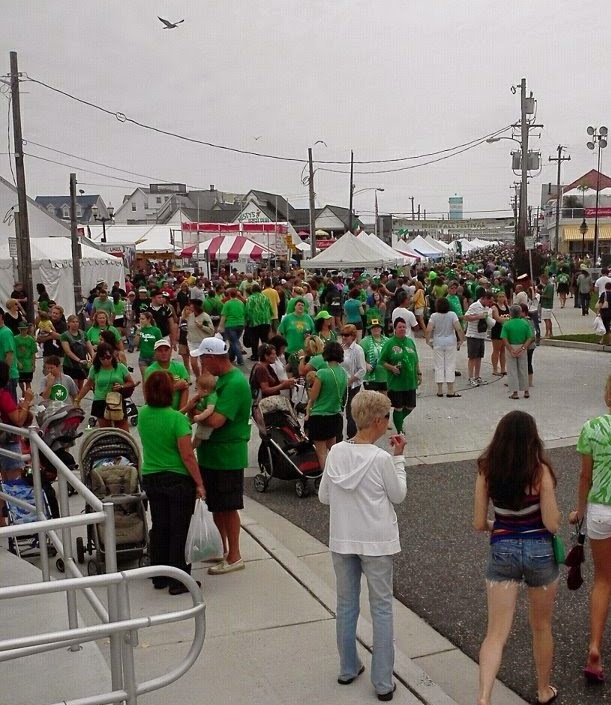 It's the Olde Time Italian Fest in Wildwood, It's the Mid-Atlantic Police & Fire Survivors Weekend, it's the Wild Thang PT Cruiser car show, it's the Monster Truck Nationals, and it's Ed's Funcade Boardwalk Treasure Hunt! What more could you ask for? Mornin'! It's 57° in Wildwood. There's alot going on outside even though the storm is long gone. It's quiet as there are no breezes to write about. It's fragrant as the mullet are running and the fishy aroma is thick in the air. It's clear as the black sky is completely and brilliantly full of stars. It's supposed to be the start of some beautiful Fall weather beginning today. It'll be sunny with light breezes out of the North at 10-13mph and temps in the low 70s. Tonight...clear as temps drop back into the low 60s. The weekend's looking sensational (our local weather guy calls is "sunsational") as Ms Sun's checking in for the first weekend of Autumn with temps in the mid-70s. Perhaps beach days? Mornin'! It's 68° in Wildwood. There's a Nor'easter pummeling us at the moment. It's a terrific morning to hit the alarm and roll over. Instead I'm blogging with winds-a-whipping and rain showering down around us. It's loud and boisterous weather out there. The trees are taking mother nature's pruning as I type. There won't be much of a sunrise this morning. There won't be much of sun shining today for that matter (although one forecast did mention peeks of sun this afternoon...remains to be seen) as sun isn't in the forecast until tomorrow. It'll be cloudy, rainy and windy all day as the tail end of this wicked weather system passes through. It's been over us since before bedtime and according to the local doppler...is almost out of here. Forecast is rain (80% chance) the first half of the day as it finally lets up by later this afternoon. Winds will continue to whip from N-NE at 20-30mph w/40mph gusts. Temps will tap the 70° mark. Tonight...showers (30% chance) as we clear out as temps go down into the upper 50s while winds simmer down (N at 15-20mph). Weather advisories today as Rip currents and High Surf warnings are posted (4-8' waves) oh...and let's not forget about tidal flooding on the ol' island. It's a tad floody out there...don't drive through it...it's not rain water! Tomorrow, Saturday and Sunday still looking good! Mornin'! It's 65° in Wildwood. It's overcast and very windy (E-NE 20-25mph). The bedroom curtains were blowing straight out! Okay...it'll be mostly cloudy and windy today (E-NE 25-30 +gusting up to 35-40mph) as showers may develop later this afternoon (60% chance). A classic bad hair day...you know the drill! Temperatures today will tap the 70s. There's a "coastal hazard statement" issued as Rip Currents will be off the chart (high risk) for today and tomorrow as well as high surf (7' waves). Tonight...rain (heavy at times) as it continues into tomorrow with chance of tidal flooding (a bit higher tides due to the New Moon too) as this coastal storm nails our island for at least the next 24 hours and is supposed to check out tomorrow night. Oh...for the weekend...looking summery with warm temps and sunshine! Speaking of sun...last evening I was able to witness the first sunset of Autumn. 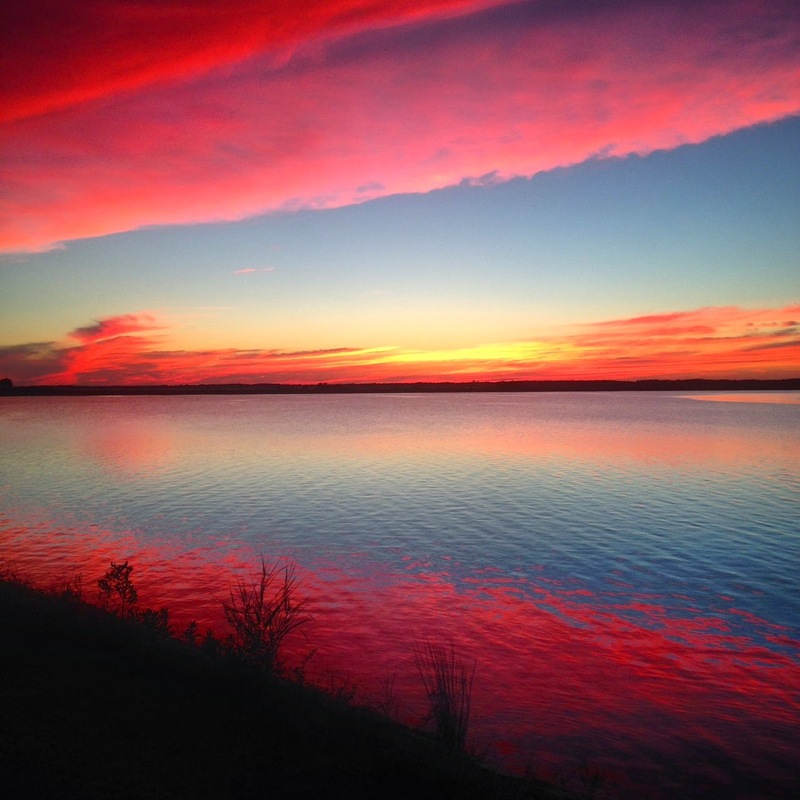 The sunsets as of late have been no less than spectacular and I was brought to tears by this one! Happy Birthday to my Daughter Alison and Happy First Day of Fall! Mornin'! This entry is dedicated to my baby girl who was born almost exactly at this moment 34 years ago! Happy Birthday Alison! 34 years ago it was a warm one as I had the air conditioner on timing the labor pains throughout the night. Not today. It's 53° this starlit, quiet, first day of Fall. It's a lovely, peaceful morn. Not much in the line of breezes. It'll be pleasant with cooler temps and less windy conditions today. Temps will just about tap the 70° mark. Ms Sun will be shining as some clouds are forecasted in today's mix as well. Winds will wift (I mean "waft" in) later from the N-NE at 6-10mph. Tonight...cloudier and cooler (temps back into the low 60s) and breezier with the winds shifting a bit from the E-NE at 10-20mph. Looks like rain tomorrow later in the day. Officially the last day of summer! Mornin! It's 68° in breezy, starlit Wildwood. It's a lovely morning this last day of summer. Tonight at 10:30p.m. Autumn officially presents itself. Today is the Autumnal Equinox. That means day and night are equally 12 hours and that's all over the world. It also means that today Ms Sun is directly over the equator. Beginning this evening...Fall is officially here! The weather seems to be cooperating on this equinox as it'll be sunny with breezes out of the NW at 15-20mph. Temps will hover around the low-70s. Tonight...clear as breezes simmer down and temps head back into the low-50s. Mornin'! It's 71° in overcast Wildwood. The clouds-are-a-hanging this morning! All the forecasts I've checked are in agreement as they're all saying that it'll be a cloudy Sunday morning with some clearing by this afternoon. Can't rule out a little spritz or two before lunch. A warmish day this last Sunday of summer... temps will tap the 80° mark. Breezes will be out of the N-NE at 6-8mph. Tonight... a shift in the breeze from the N-NE ato SW at 10-15mph with a 20% chance of a shower as well. Skipped the blog yesterday...too much going on this weekend by that I mean Irish and Seafarers Fest and a ride on the Great White! Not to mention... hanging at home with friends and family and good eats and drinks! Fun weekend this last one of summer... fun weekend. Last Hurrah of the Season! Mornin'! 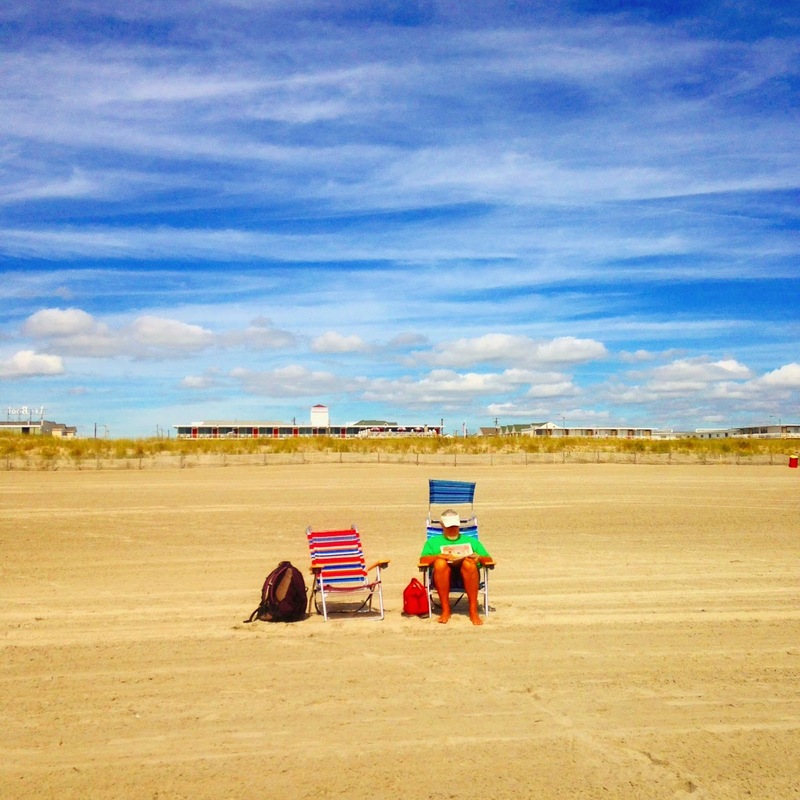 It's 58° in partly sunny Wildwood. There's clouds and winds in the morning weather mix. The forecasts for today and into this weekend have changed a bit but I think we're good to go. Today will be cooler as temps will just about tap 70° as the breezes (E-NE) will be wifting (I mean wafting) in at a good sustained clip at 18-20+mph. The clouds are staying checked in so it'll be a mix of clouds and sun all day (albeit mostly clear). Tonight...back into the 60s with a mix of clouds and clear skies and a chance of rain on the overnight into Saturday morning. Sunday's still the better of the weekend days with warmer temps and lots of sun. It's a jammed packed activity weekend on the island...the last hurrah you might want to say! Mornin'! It's 59° in Wildwood. It's quiet with no breezes yet the aroma of the sea is thick in the air. It's even seeping into the house. It's clear as the sky is beautifully starlit. It's really nice this end of summer/pre-dawn morn. It'll pretty much be a repeat of yesterday...mild, sunny, warm (low-70s) with hardly any breezes to write about (N-NW at 5-7mph). Tonight...clear and mild with temps back into the low 60s. Everything's status-quo for the upcoming weekend...sunny and mild and looking good. 5 more days until Autumn! Mornin'! It's 60° in Wildwood. It's a bit breezy and I have to say "chilly" in the house as my little hoodie is once again just the ticket this morning. I still have the windows mostly cracked and/or opened. I can't give up on that sea air as I love when it fills the house! 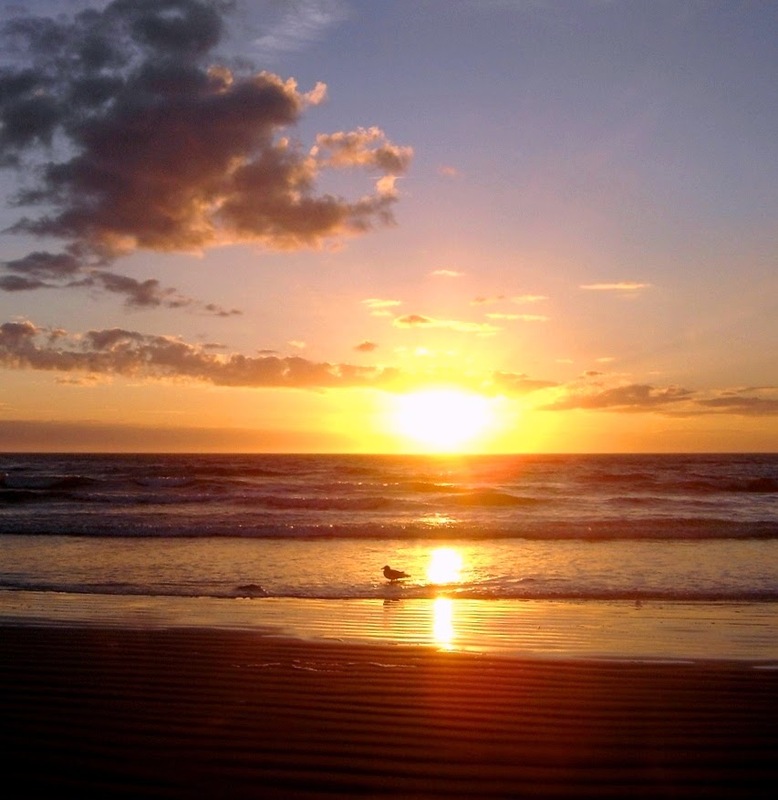 It'll be a lovely day at the Shore as temps will be tapping 70° with Ms Sun pouring down. She's on her way as I blog. Clouds will be minimal. Breezes will stick around too this morning from the N-NE and shifting later from the East light and variable 8-10mph. This "Edouard" thing (hurricane) is way out in the ocean off our coast creating some moderate coastal effects such as rip currents and higher than normal surf and swells. Be careful if hitting the surf. Tonight...clear with temps back into the high 50s/low 60s. Lots of migrations happening on the island...birds, butterflies, Irish revelers. Tomorrow is the kickoff to the 23rd annual Irish Fall Festival this upcoming weekend. It kicks off with a Golf tournament in the morning at the Cape May Golf Course and an Irish concert at Wildwood Catholic HS tomorrow evening. Then, after that...the vendors, bars, parades, traffic, crowds will be in the Irish Mix. Let's not forget it's also the Classic Car Fest in Wildwood and the Seafarers Celebration in Wildwood Crest. Also this weekend...the Finalé of summer as it's the last weekend of summer as Autumn's ready to check in and right at the backdoor! The Jewel keeps sparkling...later today that is! Mornin'! It's 67° in Wildwood. It's still early and dark outside but I can see the clouds moving over the moon. It's partly cloudy and partly clear as some sections of the sky are starlit and clear and other sections...nothing but clouds. There's a light breeze from the N-NW. It be sunny later today once we get through some morning showers. Temps will be tapping the mid-70s again as the N-NW winds will be light and variable at 10-12mph. Three forecasts I've checked have reported no rain after this morning's showers until Monday. Tonight...clear and back down into the mid 60s with Northerly breezes at 10-12mph. Okay...here's the scoop on today's weather. After I posted my blog at 6a.m. things turned very ugly. The sky became black as night and rain began to pour down. I stopped what I was doing to check the doppler and there was a major weather system heading right over our section of the island. I changed the blog to say morning showers but when I tell you the rains came pouring torrential non-stop...well, that's an understatement. It's 8:30 and the sky is still black with the edge of this system still passing over. Once passed...sunny skies. I think. Mornin'! It's 56° in Wildwood. It's another Fall-like morn as I grabbed my hoodie before leaving the bedroom. It's quiet with no breezes and clear moonlit/starlit skies. I love this. Inside my home it's cool as I purposely left some windows open overnight to keep things cool and comfortable. It'll be lovely today as temps tap the 70s and breezes stay very light at 5-7mph from the N-NW. Ms Sun will shine all day through the mostly cloud-free sky. Tonight...clear with clouds rolling in late as there's a 50% chance of overnight showers right into tomorrow morning. But, today...bike ride anyone? Looks like a perfect day for it. Mornin'! It's 55° yes...55° in Wildwood. We're having our first true taste of Fall this sunny, breezy, lovely morning. This is it! It's a bit weird but nice. I'm thinking "where did I put my throws?" I left all the windows open so the house is a bit on the chill-chill side. It's all good though as Ms Sun's gonna warm things up. She'll be shining down today without clouds and with breezes out of the N-NW at 8-10mph. Temps will just tap the 70s. Tonight...clear and back into the 50s. Now where the hell's that throw? Mornin'! It's 70° in sunny Wildwood. Ms Sun's up and shining brightly over the island and through the increasing cloud cover. Clouds are up there and will eventually take over the day but right now...Ms Sun's winning out. There's a 60% chance of showers beginning later this afternoon and into the early evening. Breezes are a bit stiff out of the E-SE at 15-20mph but are already beginning to simmer down. Temps will be in the low-mid 70s. The clouds and rain will check out overnight as tomorrow will welcome a lovely autumn day with sun pouring down and temps in the lo-mid 70s. The FireFighters Parade is happening rain or shine this afternoon so pack rain gear! Mornin'! It's 68° in Wildwood. We've got some partly clear as well as partly cloud covered sky this early morn. Weird. Looking east I can see the sky is mostly clear with some wispy clouds greeting Ms Sun. And then looking west, we've got that ominous, dark look to the sky. My bets is it'll be a gorgeous sunrise as those clouds are already being colorfully painted. Ms Sun better step it up though as those westerly clouds are taking over nicely. From all the forecasts I've checked it's unanimous...mostly cloudy for the start of the day as Ms Sun finally wins out as we'll have mostly sunny conditions begin a bit later this morning. Temps will be low-mid 70s as winds will be out of the N-NE at 15-17mph. Tonight...clear and in the mid-upper 60s. The weekend's holding it's own as Saturday will be the "rain shower" day as Sunday will be "sunny" with temps in the mid 70s for both days. For our anniversary hubby and I celebrated with a delicious dinner at the Lobster House in Cape May which I highly recommend. 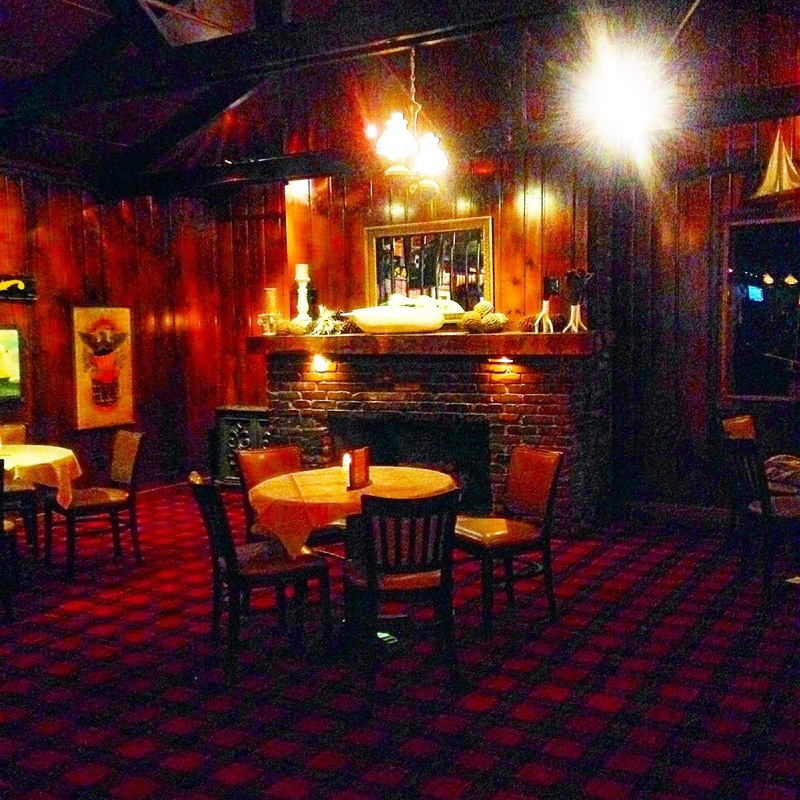 We began with cocktails on the Schooner then to the vintage dining room. I had the stuffed flounder (stuffed with crab, scallops and topped with shrimp) and he had the broiled scallops. It was off the chart delish. After, it was to Sunset beach (at the sunken ship) for the 9/11 ceremony and flag lowering. A perfectly lovely summer evening and wedding anniversary celebration! Life is good! Happy Anniversary to my lifelong Love! 43 blessed years of wedded bliss! Happy Anniversary Love! Mornin'! It's 71° in Wildwood. The sky is cloud covered. The bright moon is still trying to shine on through, but there's not a true clearing or any stars visible. It's breezy and nice actually. I can hear the ocean's roar 6 blocks away. Ms Sun's due up in a half hour or so and my guess is the clouds will win out for her grand entrance. It's going to be partly sunny / partly cloudy today as temps climb up near 80°. Chances of rain are 30% today and 60% as we get closer to sunset. There's also a chance of thunderstorms tonight and even more so on the overnight. The breezes will commence from the S-SW at 15-20mph and will ramp up during storm time. Weekend's still looking "eh". Tomorrow...back to mostly sunny conditions and Saturday..back to clouds and possibility of showers as Sunday...sunnier and cooler. Mornin'! It's 66° in Wildwood. The island's finally under clear skies. Moonlit and starlit too I might add. It's a lovely morning as daybreak is on the horizon. The sunrise should be pretty spectacular as there are clouds in the mix which will make the sky outstanding. It'll be a very lovely day as the temps will reach the mid 70s and the clouds make way for blue skies. The sun will do its best to shine and keep the clouds at bay at least until this evening. Winds will ramp up a bit from the E-NE at 15-20mph. At this point, the weekend's looking "eh" as Sunday seems the better of the two days (low 70s and mostly sunny) yet still a possibility of a shower. Saturday...more likely to see a spritz or today especially Saturday night as temps hover around the mid-70s. It's Fireman's Convention Weekend and I'm sure the fire engines are being polished and waxed as I type! Mornin'! It's 72° in Wildwood. Ms Sun's got her work cut out for her this morning as the cloud cover's thick and unrelenting. So are the Winds (E-NE at 25-30mph +gusting). It's damp and breezy with a touch of autumn in the air. It'll be much like yesterday (cloud cover all day) but with rain showers and thunderstorms in the forecast as temps reach the mid 70s. There's a 70% chance of scattered showers today as the Winds storm over the island and stay checked in for a couple days. Tonight...40% chance of thunderstorms. Looks to me like we're in the midst of a Nor'easter type weather system. Throw in a Full Moon from last night and you've got yourself some tidal flooding. Keep an eye on the tide. Mornin'! 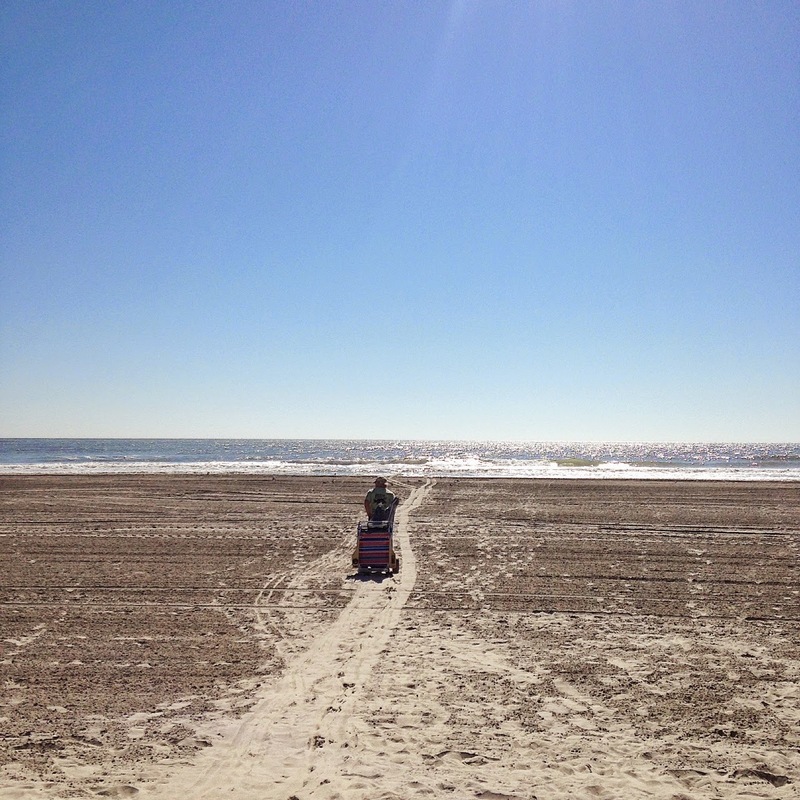 It's 73° in breezy Wildwood. The sky has some clouds in the mix but it's ready for Ms Sun as this morning's sunrise should be spectacular (I know last night's sunset was)! It'll be partly sunny/partly cloudy today with breezes staying checked in at 20-25mph +gusting from the E-NE. Temps will be in the mid-upper 70s. Tonight...more clouds and more chance of rain (50% chance) as temps head back down into the upper 60s. Mornin'! It's 66° in cloudy, windy, much more comfortable Wildwood. Had some late evening storms passing through last night leaving us nicely watered. 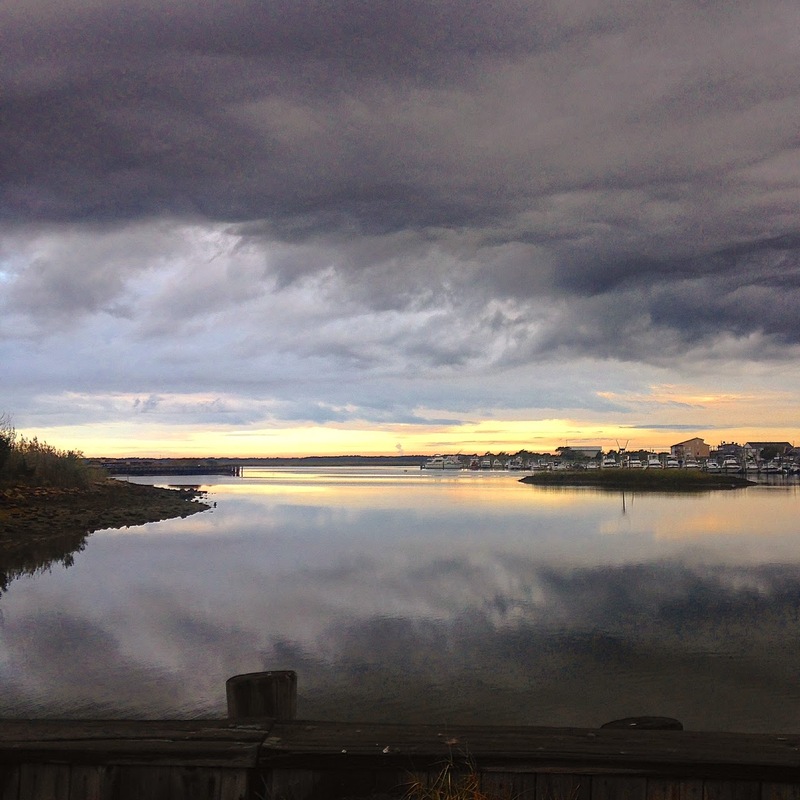 It also left us under thick cloud cover as that huge air mass/cold front headed out to sea. The heat and humidity are outta here. We're expecting a nice sunny day which I'm assuming is on its way as I type. At the moment...clouds, breezes and lower, more comfortable temps. It'll be mostly sunny with temps in the mid-upper 70s today as breezes simmer down from the N-NE at 9-11mph. There is a 20% chance of a passing shower today as the clouds will definitely be in the mix. Tonight...mostly cloudy with temps back into the mid-60s. Tomorrow and Tuesday...looking gray with rain in the mix. Today...once we get these clouds out of here...it'll be smooth sailing! Mornin'! It's 76 humid degrees in Wildwood. Ms Sun's up and shining brightly. There's not a cloud in the sky There's not a breeze to write about. It's quiet as the "Roar" is at a "purr" this morning. The Harleys are checking in as "The Roar to the Shore" is happening as I type. Today's weather as well as the weekend's weather will cooperate somewhat for the bikers (and hopefully for our friends' wedding on the beach tomorrow afternoon). Today will be hazy, warm and humid as the temps reach the mid 80s. It'll be mostly sunny with some clouds in the mix too as there's a chance of a passing shower today. Breezes will eventually wift (I mean waft) over the island from the S-SE at 7-8mph and shift this afternoon from the S-SW at 12-17mph. The weekend will have more clouds in the mix as tomorrow afternoon has a better chance of a thunderstorm bringing along a cold front giving us a taste of Fall for Sunday. Tonight...low 70s and clear but another chance of rain on the overnight. Mornin'! It's 70° in Wildwood. It's a bit muggy and humid with that ol' sea fragrance in the morning air. No breezes. The sky is clear and starlit. Ms Sun's about to cross the horizon as some scattered (horizon) clouds are escorting her most fantastic, colorful presentation this morning! If it's nearly half as nice as last evening's sunset then we're in for yet another late summer treat. Today and tomorrow seem to be the last two days of picture perfect weather forecasts for the shore. Sunny with temps tapping 80° and winds light and variable out of the E-SE at 8-10mph, it all seems to be a prelude to some major cloud cover, chances of rain and/or thunderstorms, increased humidity and higher temps (upper 80s) for the weekend. After getting it all wrong last weekend, I guess it all remains to be seen. Tonight...clear skies with temps back down into the low 70s as breezes shift just a bit from the S-SE at 5-10mph. Tomorrow...repeat of today! Mornin'! It's 74° in Wildwood. Ms Sun's due up in about a half hour. There's some clouds in the mix but I'm thinking it'll be a beautiful, display of color in the sky once she's over the horizon. There's a very light breeze from the NW which will shift from the South later today all at 4-8mph. It won't be as hot and humid as yesterday but still warm as temps climb into the low-mid 80s as clouds will stick around and be in the mix (partly/sunny-partly/cloudy). Tonight...partly cloudy with temps in the upper 60s. Mornin'! It's 75° in Wildwood. It's humid and muggy under clear, starlit skies. Actually, the sky is brightening as morning's about to break. Ms Sun's waiting to make her grand entrance in a couple minutes. It's quiet and very still with no breezes. It's feeling like a true summer morn out there. The air conditioner is back on as my home is temporarily closed up which I have to admit has been closed up far and few between this summer season. It just hasn't been a typical hot summer this year. But, it will be today as it'll be mostly sunny and hot with some stray clouds and even a chance (20%) of an afternoon thunderstorm possible. Temps will be in the upper 80s and maybe even tapping 90°. Winds will be out of the W-SW at 10-15mph. Tonight...back into the upper 70s with clear skies. This week's weather looks terrific if this is your vacation week...like I said before...The Jewel is here and the masses aren't. Just wanted to note something of importance...appears that there are no lifeguards working. Swimming's at your own risk as the beaches are open. Swim with sense! Mornin'! 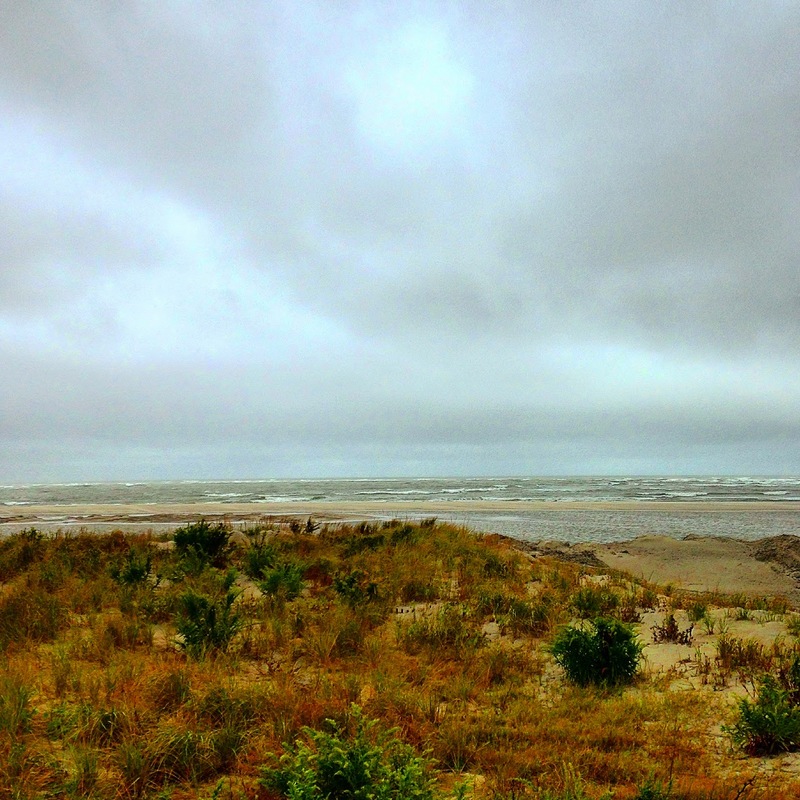 It's 76° and humid in Wildwood this first day of September! It's a typical Labor Day...gray and wet (from overnight spritzes as the storms that were heading our way stayed on a more northerly course and skipped us). The clouds are all over the place but not raining at the moment. It's looking like the clouds will be hanging out for most of the day but peeks of sun can't be ruled out. No breezes or winds are bearing down (yet) on the island like yesterday and last night. It'll be mostly cloudy with sun in the mix today as breezes ramp up out of the W-SW at 11-19mph and 30% chance of thunderstorms later as well as into the evening. Temps will get into the mid-80s and tonight back into the mid-70s. Tomorrow...glorious...blue skies and summer like conditions. Oh...and the best part of tomorrow...you'll have the beach all to yourself! Happy September! The unofficial end of summer is here! The intensity and sharing of Wildwood is over as the Jewel's arrived allowing us to not only have our island back to ourselves but to enjoy it at its very best!